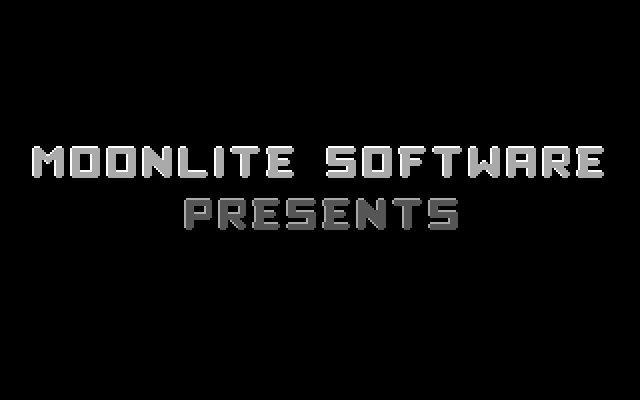 One of my favourite gaming genres is the platforming game, one of the first that I played was Hocus Pocus by moonlite software. 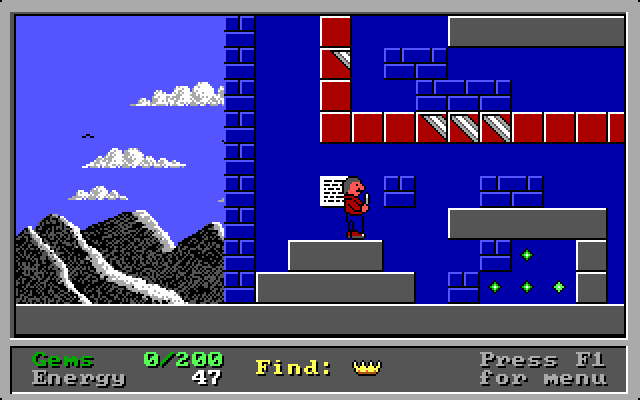 This game puts you in the shoes of a young wizard who wanting to join the council of wizards, needs to perform a series of tasks to gain admittance. In addition he can’t marry his love Popopa until he has joined the council. The game consists of 4 episodes, each of which consist of 9 levels, the end of which will have a number of boss enemies. 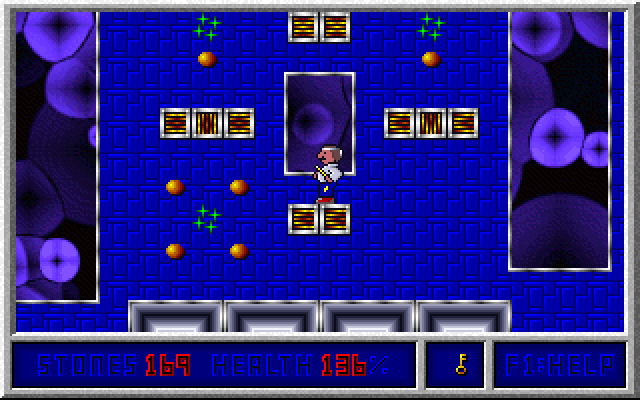 You complete levels by collecting the power crystals scattered around them. 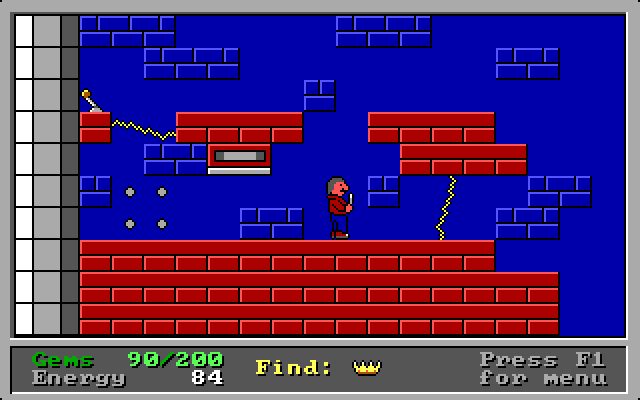 I only ever played the shareware game, and hence only the first episode – Time Tripping. The game is pretty much your standard run and gun fair, the enemies are pretty similar in how they behave across the levels but do have some graphical variation. 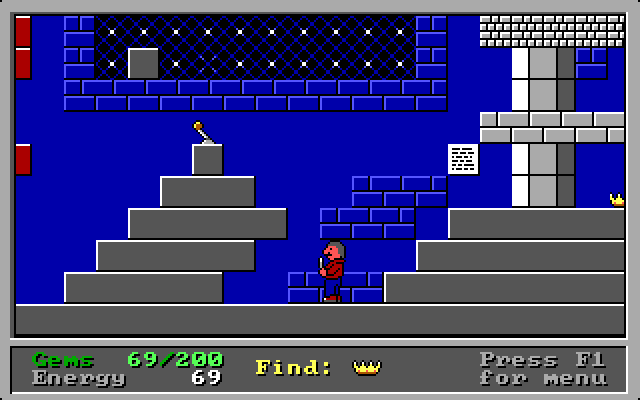 I played this game a lot as a kid, the main thing I was trying to do usually was maximise my score, you do this by collecting all the treasure including that which is secret, and by finishing the level within a pre-determined time frame. This requires knowing the levels back to front and practising the best path to collect all the treasure and crystals. It isn’t necessary to kill the monsters to progress through the levels, but it is easier if you do. The graphics are quite pleasing to the eye, and incorporate some nice backgrounds with parallax scrolling which even works quite well on the 386sx 20Mhz that I ran it on as a kid. We didn’t have a sound card on our old computer so we used the PC speaker for sound effects, which proved adequate but not as good as the adlib and sound blaster support. I recently got the registered version of this game and found the later episodes much more difficult that the first. The traps are more deadly, but there are more power-ups to assist you in your travels. The enemies are more varied but still very similar to those found in the first episode. One of the biggest differences is the end boss for each episode, you have to take a different strategy in killing each different type of boss. Graphically, each episode is unique, but they borrow elements of design from each other sometimes re-using a monster, background or tile. This ties them all together without feeling like you’re playing the same episode again. I still find this game fun to play today, but it lacks the depth that many other platformers have, so I usually play in short bursts. The registered version is worth getting, and you can still buy it from the 3D realms website. One of the Mad Monks of Mellenwah. Level 6: some weird enemeies.